New screen-printed tiles from our own archive designs. 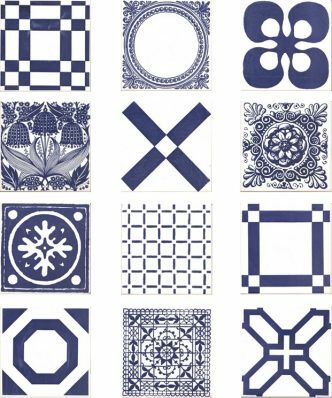 These are some of Tarquin Cole RCA’s most notable past tile designs – albeit in a slightly different inglaze medium. Suitable for kitchens, bathrooms, fireplaces and worktops. Currently available to order in Cobalt Blue on a White glaze, with minor variations and imperfections reflecting the tricky hand-made nature of the technique. Repeat one design or use all 12, it’s up to you. Please CLICK HERE for a PDF of each design and contact us if you’d like us to discuss your particular design requirements.